How to Become a Forensic Scientist in California? What is the work environment like for forensic scientists? The job of a forensic scientist revolves around blood spatters, forged signatures and used shell casings, among other things. Studying the messy details of a crime scene, forensic scientists are the professionals who identify criminals and analyze the evidence against them. If you want to become a forensic scientist in California, you would be glad to know that it is the highest paying state for the profession. The annual mean wage here, according to May 2017 data from the US Bureau of Labor Statistics is $82,650. California also ranks at the top when it comes to the level of employment in the state, with 2,050 forensic scientists in the state. The steps to become a forensic scientist are somewhat general across the country. The variations would arise in specific job descriptions. Most variations in the requirements to become a forensic scientist would be related to the organization you are applying for. So make sure you check your potential future employer’s application details thoroughly. Beginning forensic scientists usually have a bachelor’s degree in forensic science, biology, physics, chemistry or physical anthropology. Multiple colleges across the country offer this 4-year long degree and most offer many advanced education options as well in this field. You would be completing courses in natural sciences, statistics and qualitative analysis. Laboratory experiences and computer courses would also be included in the curriculum. Students might not be required to select a specialization at the undergraduate level – this broad foundation eventually helps them in terms of more flexibility during the job hunt. An internship would help fresh graduates get some hands-on experience in the professional forensics world. This would also enable students to meet people already working in this field and network with them. Ideal places to intern at could be county governments, local police departments or federal agencies. Your college or university’s placement office should be able to help you in finding an internship. Even though a bachelor’s degree is sufficient for entry level positions in this field, for advance positions, you may need higher education qualifications. For instance, a master’s degree in forensic science would give you access to higher positions in multiple organizations. 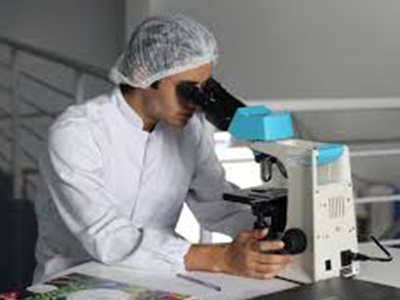 This degree would focus on a specialization in areas such as serology, microscopy, toxicology, etc. With a master’s degree in hand, you can expect better job prospects and potentially higher salaries. Once you have met the educational requirements to become a forensic scientist in California, you can begin the job hunt. The California Department of Justice might have some good career paths. Other places where you can look for work include the city, county and state crime labs. You may also choose to become an independent consultant or can find work in medical labs or the coroners’ offices in the state. If you want to add to your professional credentials, you can get a certificate through various institutions. Many state universities offer diverse certificate programs all across the state. You can also get certified through The American College of Forensic Examiners International. The employment field for forensic science technicians shows a very bright future for those who intend to enter this field. With a growth of 17% expected in the years between 2016 and 2026, the field of Forensic Scientists might prove to be a smart career choice. With the average growth for all occupations at 7%, Forensic Science Technicians will experience a highly positive relative growth. This high growth rate can be associated with the fact that state and local governments may be hiring additional professionals in this field to take care of the heavy load of cases at the federal, state and even local levels. As a result of this, the job of a forensic scientist will become more important in the coming years. The competition for jobs will be very high. With only 2,600 jobs being added in the years between 2016 and 2026, candidates with a master’s degree might have an added advantage. The biggest employer of forensic scientists in the US is the local government, with nearly 57% of the jobs, followed by the state government with 29% of the jobs. These professionals may be working in various weather conditions outdoors and might have to spend hours in the lab at a time. Their work is a mixture of office work and field work.